Rally racing is a difficult sport to follow in North America. It doesn’t receive nearly the television air time that it deserves which tends to keep it out of the public eye. Still, I’ve managed to end up with a few rally cars in my collection. 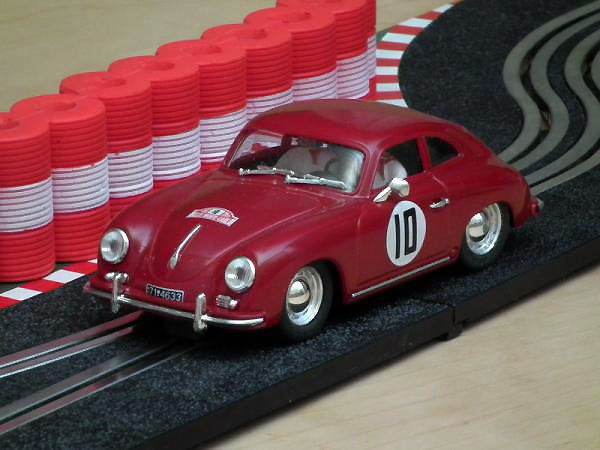 Thanks to the popularity of this sport in Europe – home base to most slot car manufacturers’ head offices – slot car racers have quite a few interesting subjects to draw upon. Recently, the club at Mini Grid in Toronto started a bi-monthly series for rally cars so I needed to find the most effective tool for racing there. To do this I’ve reached into my collection a pulled out a cross section of 12 rally cars. 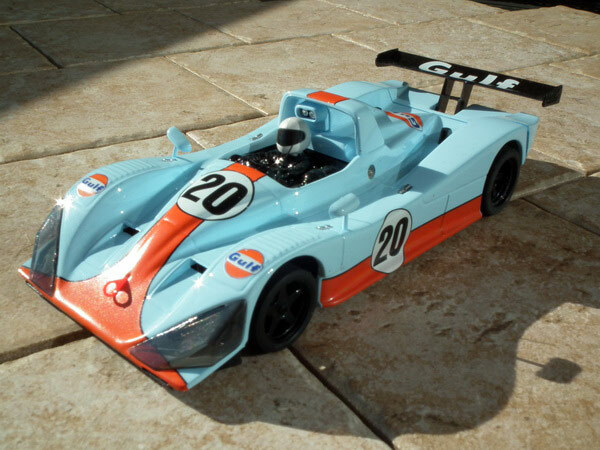 Over the last decade we have been blessed with a plethora of models from a variety of manufacturers of LeMans prototypes. What I set out to do is determine which was the quickest and best suited for some local racing series. To do this, I've reached into my collection and pulled out a cross section of sixteen different cars. I then glued and trued the same formulation of urethane tire to each car, removed the traction magnets, and then tried to set my best Q time on a local wood (22m) and plastic track. 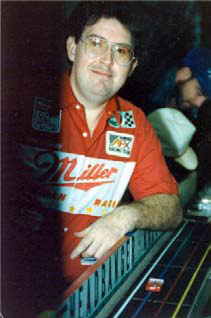 To say he was passionate about slot cars is an understatement, having grown up and finding himself actually working within the industry really was like a dream come true to John. His knowledge of all things slot was very broad, and whilst not a particularly technical man although this may appear strange, he was able to grasp the concept and technicalities of both production and development and push through his ideas in order to progress projects. 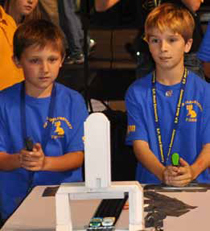 Tuesday, May 11th 2010, a group of thousands of students, teachers, parents and staff descended on Lexington Kentucky’s Rupp Arena for the Kentucky State Student Technology Leadership Program’s (STLP) State Championship. And what is STLP? The Student Technology Leadership Program (STLP) is a projectbased learning program that empowers students in all grade levels to use technology to learn and achieve. It was established in 1994 by the STLP State Advisory Council, which is composed of teachers, students and community leaders. Student-designed projects, products and services are created to help the school and community. The Kentucky Student Technology Leadership Program Racing Series continues for an additional seven events. 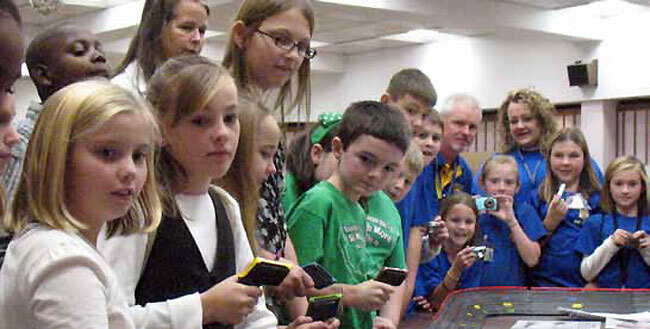 See and read how children all over Kentucky have learned about technologies, slot car racing and actually had a lot of fun doing it. And the author, Paul Shoemaker, tells us how he has done it and how you can too! I was recently contacted by an old racer buddy from Louisville. I haven’t been in contact with my racing friends there for some time now. I moved away, got into other hobbies, the kids, the wife, life in general. Bobby managed to track me down through my articles on Slot Car Illustrated. 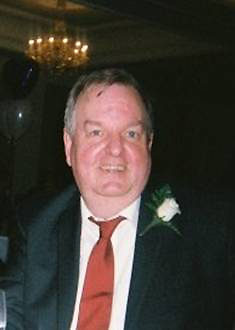 He had some sad news to convey, Tom O’Reily had passed away. Thursday, May 21st 2009, a group of thousands of students, teachers, parents and staff descended on Lexington Kentucky’s Rupp Arena for the Kentucky State Student Technology Leadership Program’s (STLP) State Championship. And what is STLP? The Student Technology Leadership Program (STLP) is a project-based learning program that empowers students in all grade levels to use technology to learn and achieve. It was established in 1994 by the STLP State Advisory Council, which is composed of teachers, students and community leaders. Student-designed projects, products and services are created to help the school and community. 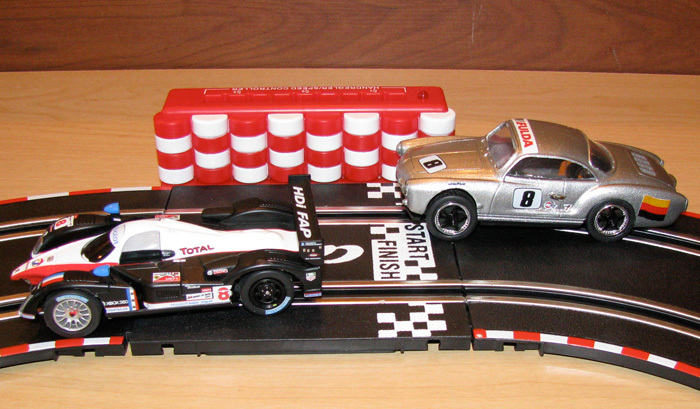 Much has been written in Slot Car Illustrated has been written lately on the relative merits of HO and 1/43rd scales. Most of the participants in this discussion have advocated HO as a better bet for children, new slot car collectors, and those with limited space, however, I am convinced that 1/43rd scale is not only best for these groups, but also represents an excellent addition for experienced slot car collectors. Well let's get the obvious out of the way and that is that these two F40s look different because they are modeled on different cars! I will be the first to admit I was disappointed in the Slot.it‘s looks when I first saw the pictures. Now that I have spent some time with both of them I have to say the Slot.it has grown on me, scouring the Internet looking for pictures of the two models made me realize how different they are supposed to be! What era of Motor Racing interests you. A very interesting thread has been posted in the Paddock on SCI. The Paddock is part of the Forums side of SCI where readers can discuss this hobby in more detail. Hope to see all Readers come to The Paddock and vote.